Authorities in Kazakhstan are set once again to tinker with how pension funds are managed. And if social media and news website comment boards are any indication, people are livid. Since 2013, pension contributions have been held in an entity called the Single Accumulated Savings Fund, or ENPF in its Russian initials. The fund comprises 10 million accounts worth a total of 9 trillion tenge ($25 billion) and is managed by the National Bank. Now, the government is talking of reverting to the pre-2013 arrangement, wherein the money is managed by private-sector operators. The reform is outlined in the National Bank’s strategic plan for 2017-21. The vision as outlined is for contribution-payers to choose investment funds for themselves and decide how best their money should be invested. “As an investor, you must pick the investment manager. If you are unhappy with their work, you have the right to take your money elsewhere,” deputy National Bank chairman Dina Galiyeva said in televised remarks. Although the government intends to relinquish its obligation to underwrite the security of privately managed pension funds, Galiyeva has said that fund managers will be required to meet stringent capital rules. This is to ensure account-holders can be compensated in the event of wayward investments. Anecdotal evidence to date indicates many are just eager to withdraw what sums they have accumulated in their pension funds as soon as possible, so that they can use the cash for pressing needs, such as paying for medical operations or putting down deposits in a government-backed mortgage program. But the rules state that pension savings can only be handed over in the event of a relocation to another country. Or in the event of the interested party’s death, the funds can be transferred to designated heirs. Petr Svoik, an economist and member of the ENPF public consultation committee, is a fervent critic of the plans, which he describes as the result of lobbying from the private sector. “High-ranking private entities want to take this pension money abroad. It is more than 8 trillion tenge ($25 million) – that’s a juicy slice,” he said. But Svoik also believes that the government is eager to shed what has proven an onerous and unrewarding responsibility. The National Bank “can barely deal with its role,” Svoik said. “There are not enough investment instruments inside the country. That is why pension funds are mainly invested in state bonds – this is a burden on the budget and does not deliver much yield,” he said. The current system has been battered by a string of embarrassing episodes. That was only the tip of the iceberg. As economist Rahim Oshakbayev explained at the time of that affair, a detailed analysis of the ENPF’s investments had revealed that around 23 percent of the fund’s investment portfolio consisted of risky assets. The limited liability of private fund investors is making the new system even more vague that it was under the old system. And the existing format has not exactly been the model of transparency. In January 2017, the National Security Committee, or KNB, arrested the head of the ENPF over suspected corruption. Investigators say around $15 million worth of funds were invested in mining companies Buzgul Aurum and AlatauMunaiAtlyn only to subsequently go astray. ENPF chairman Ruslan Yerdenayev and his deputy, Dabyr Medetbekov were in April sentenced to 12 and 11 years in prison, respectively. Murat Temirkhanov, a board member at the Halyk Finance investment bank – a likely top contender for lucrative pension management business – has said in an interview with business newspaper Kursiv that he believes there is something absurd about the current arrangement. In particular, he pointed to the fact that by managing the ENPF, the National Bank is in effect both involved in and regulating the financial market. 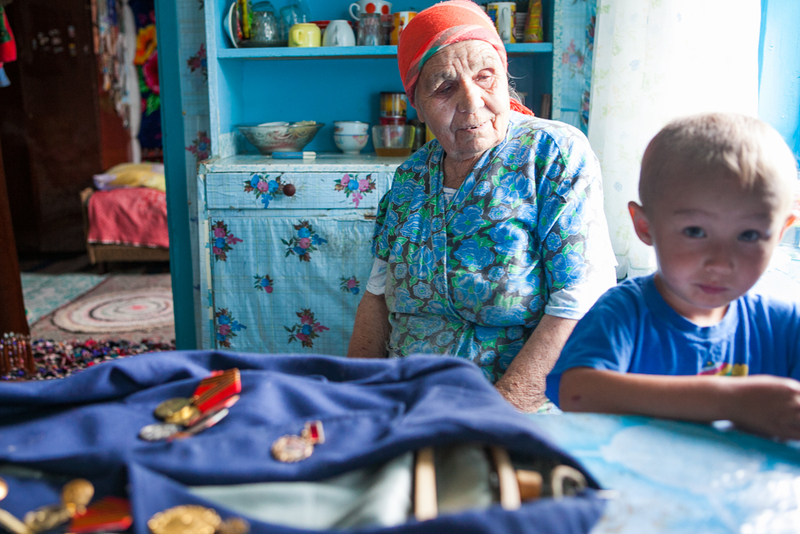 Kazakhstan’s retirees are in desperate need of more robust provisions for later life. Pension payments vary, but by way of illustration, a former teacher in Almaty who retired last year after 39 years on the job told Eurasianet that she receives 109,000 tenge ($300) monthly from the state. That is enough to cover the cost of food and utility payments for a three-room apartment built in Soviet times, she said. The amount accumulated in pension funds so far are paltry. Svoik said that average pension pots today stand at no more than around $2,000. “When you go and take your well-earned rest, your pension savings will most likely last you only a few months,” he said. Inflation has ravaged even those modest amounts. Over the past five years, inflation in Kazakhstan has come in at more than 40 percent. And the tenge has experienced a string of a cataclysmic devaluations, sending it tumbling from 120 tenge to the dollar in early 2009 to 360 tenge today. Saule, a 36-year-old Almaty resident and marketing researcher, has nine years work experience and has managed to build up a pension pot worth $3,400. At the moment though, her employer officially pays her only the legally permitted minimum salary of $100 – one-tenth of which goes into her pension pot. In reality though, she takes home $600. Most of the salary is paid under the table. “It is a common practice for small businesses to save money by refraining from paying toward their employees’ social contributions. And employees prefer to just get cash in hand, rather than put it in their pension fund,” Saule said, on condition that her surname not be published, as receiving a salary off the books is against the law. Saule said she is prepared to settle for this, since it ensures she has a job, but it is hardly a recipe for long-term peace of mind. “I don’t know how I am going to live in old age on this kind of money. I am putting my hope in my children,” she said. Still, the idea of expecting savers to know how best to invest their own money raises eyebrows among people like Akzhunis Brasilova, a consultant with the Almaty-based School for Financial Literacy. “One third of the population, the older generation, as a rule pin their hopes on support from the government, as it was in Soviet days. The rest understand that you need to rely on yourself, and yet they do nothing about it,” she said. Brasilova said that a recent survey found that 60 percent of respondents had taken at least one line of credit and that they usually spend their entire monthly salary. “This is a big problem. In Kazakhstan, you cannot live beyond the present. If you do not save money for your own pension, your old age will be anything but restful,” she said.